Estate planning, for some, can be something scary. Scary, in that, it requires you to think ahead the future and realize your own mortality. Everyone will pass in time, this is a fact. However, whether it is tomorrow or many years from now, you want to make sure that you protect your valuables and plan ahead — if not for you, for the family you will leave behind. It important to keep in mind, that estate planning is not just for the elderly. Life is unexpected and you never want to find yourself off guard. Say something bad happened to you, if you did not plan ahead, what would happen to your assets? Planning ahead is never wrong, and especially for planning ahead for something as unpredictable as death, it is always beneficial. When planning, you want to make sure that you do all the necessary legal paperwork to ensure your valuables are taken care of when you won’t be around. Hiring an estate planning lawyer is beneficial to you because they will be able to help you draw up your ideas for whom and where your assets will be passed to. If you were thinking estate planning is as simple as writing down a list and signing a piece of paper, you are truly and deeply wrong. The process actually requires a full understanding of ownership laws, state laws, and financial planning. A litigation attorney will be able to oversee your process and make sure you are completing your legal process on time and correctly. Obviously, it is very important when concerning estate planning, that everything is completed and cannot be contested after you pass away. If you do not plan ahead, for whatever reason, your assets will have a state-given estate plan — one you probably won’t like. In the case of your death, your assets will be distributed by the laws of your state, this is called “intestate succession.” In the state of Illinois, the succession for your assets will go to the next of kin or those closest to you in your family tree, such as a spouse. This can be problematic for those with complicated relationships with their family or if they would like a portion of their estate to go to a friend or a distant family member. Relationships are complicated and your wishes may differ from most people. Because of this, if you have any special items or assets you would like to give off to your loved ones, planning ahead is crucial. Word of mouth is not a binding agreement. In the old days, a deal could be made with a simple handshake and a dependency on “your word”. For example, if you wanted to give your house to your nephew and not your wife, all you needed was to publicly say that it would be done upon your death. Today, issues cannot be settled by just your word or even scribble on a piece of paper. Most cases of estates need to be litigated through a court of law and announced by issuing official, legal paperwork through your state. The issue with simply saying your estate plans is, when you die, you won’t be able to represent yourself. If there is a dispute amongst your family members, no one will know for certain what your final wishes were. Sadly, even if you have a legal estate plan, disputes can sometimes arise, especially if one of your family members feels cheated or forgotten. By hiring an estate attorney, you will be able to involve a non-biased party that will be able to oversee your plan from the start to the finish. Because of this, your family will not be able to fight amongst themselves. With an attorney representing your interests, no one can denounce your plans or claim that one family member is biased against another. Planning your estate has many benefits, but the most important would be its ability to organize your life and give you peace of mind. When you plan out your will, you will be able to oversee all your assets and how much each is worth. From there, you and your attorney can organize each asset and determine who will receive it upon your death. 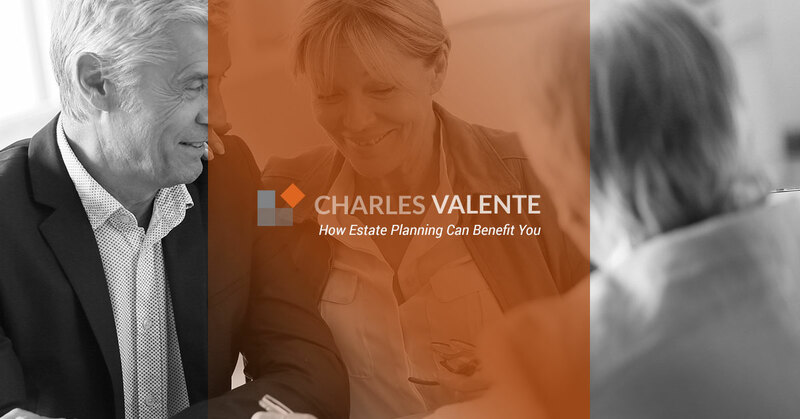 On top of organizational benefits, estate planning can give you a peace of mind. When you have thought ahead and planned for your future, you will never have to wonder if your valuables are cared for in the future. Also, being able to bestow your valuables to your loved ones can be a heart-warming venture. By giving your loved ones things you yourself loved, it shows you who you truly care about and who will be able to carry on your legacy. If you are interested in planning for the inevitable future, you will want to hire an estate planning attorney. Specifically, you’ll want to have an attorney you can trust and that you know will have your interests at heart. At Valente Law, we strive to provide our customers with the best legal representation for all legal matters, including estate planning. With almost three decades of experience, we are more than capable of handling your affairs effectively and with compassion. We want to make sure that your wishes are met, uncontested, and completed. If you are interested, start planning today and reach out to Valente Law. If you are in the Chicago area, contact or visit us today for any of your estate planning or other legal needs!